If your bank credited your personal account with $480.00 every morning and then cancelled whatever part of the amount that you failed to use by 5:00 or 6:00 P.M. what would you do? Draw out every dollar and cent... of course! Well, time is like that bank. Every morning we are each credited with 480 minutes in an eight hour work day, and 1,440 minutes in a 24-hour period. 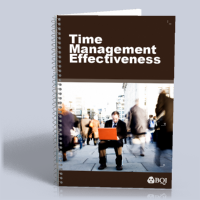 The Time-Management Effectiveness Profile has been designed to help individuals make the most of their time-bank investment. As such, it is intended to provide a useful way for the individual to rate themselves in a number of competency areas widely considered to be relevant to managing time well. 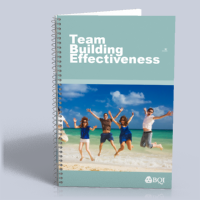 Success in any organization today rests heavily upon how well you perform as a team. Most people will accept that a champion team will beat a team of individual champions, but how do you create a champion team? Unfortunately, effective teams never just happen; they have to be built. Usually this building process has to be done carefully and has to be customized to the particular needs of each team. If your success is directly tied to your ability to build and lead effective teams, this assessment will pay dividends to you year after year! The only constant in today's business environment is… change. How you handle change will determine if you become a victim or the victor! When you hone your "change agent" skills, you are seen as a visionary leader that others are compelled to follow. You become an adaptive, charismatic sales professional that buyers prefer to choose. You can rise to the top of any chosen profession earning the respect of clients and colleagues alike. 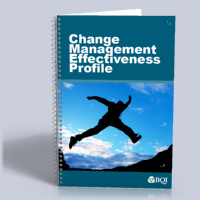 This assessment will help you through the process of managing change in any form. Everyone understands the importance of good listening. At work, listening is important to our performance and the quality of our efforts. If we fail to hear instructions correctly, mistakes can cost time and money. If we fail to listen to clients' complaints, our organization will lose business. Like skills for any other competency, listening skills need to be practiced in order to be mastered. Research has shown that there are seven competency areas measured in the LISEP that contribute to good (or bad) listening. This Listening Effectiveness assessment will help you understand more about your relative listening skills. Most of us take the art of Communicationfor granted. And why shouldn't we? After all, we take part in dozens of conversations each and every day. It ought to be something we're relatively good at! The truth is that most of us are not as good at two-way communication as we think we are. This Values Index Assessment will help you understand your motivators and drivers and how to maximize your performance by achieving better alignment and passion for what you do. The Online Values Assessment is a combination of the research of Dr. Eduard Spranger and Gordon Allport into what drives and motivates an individual. The seven dimensions of values discovered between these two researchers help understand the reasons that drive an individual to utilize their talents in the unique way they do.